Motivation seems to be elusive. We can never find it, we can never harness it. Where does it come from? Where do you find it when you really need it? The people who are motivated know it doesn’t start with motivation, it always starts with doing. The motivation is found in the doing. You have to do! So, how do you do when you don’t have motivation? It’s as simple as a choice. We all want to source our desire to do, make, or produce from motivation. Motivation isn’t a source, it comes as a result of doing. If we look to motivation as our source for the doing, we’re never going to show up. We can’t will ourselves into being motivated, or just watch YouTube videos to be motivated. You can watch this video over and over and watch other inspiring videos to try and get motivation from them, but it’s not an endless well that you can pull from. You can’t just watch a video and always guarantee that you will become motivated, but the key is knowing not to start with motivation. 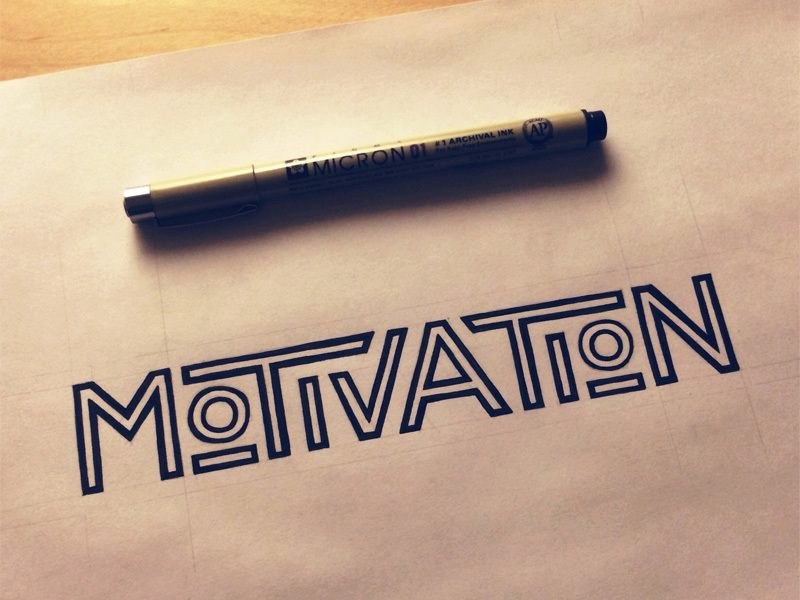 You can’t start with motivation, because it’s not always there. We’re not always motivated to do. The commitment is to show up. We say, “I’m going to show up,” and we do because we committed to it. Then, in the act of doing, we find the motivation. I wasn’t feeling like doing this video and we could have actually stopped our shoot. We had enough videos and I didn’t have to do another one, but I did it anyway. I want to help you find motivation, but you can’t ever “find” motivation—you have to do. I wasn’t motivated to do this video, but as I started saying the words I’m passionate about, I found the motivation. I found the motivation in the act of doing. You have to find the reason that you do what you do. Find your why and set a goal. My goal is I want to help you and I source my motivation from that. I know that I want to help you so I set a commitment that says I’m going to make a video every day. Seven days a week there’s going to be a new video for you because I want to help you. That is my goal. That is my why. I do because of that commitment and now I’m motivated. Hitting a road block can’t be reason for stopping. You have to keep going. You have to push through it. A roadblock is just a hurdle in your way, but you’re going to overcome it. You’re going to get past it, because you have a bigger vision. You know where you’re going. You know what your why is. Road blocks can’t be reasons for stopping, they have to be seen as hurdles to overcome. If we wait for motivation or inspiration then we’re never going to show up. You have to start with a commitment to show up and when you show up, when you wake up in the dark of early morning and your bed is warm and it’s cold outside of your blankets, that is where you find motivation. You don’t find motivation before you get out of the warm bed. You find motivation after you do, because you’re proud of who you are. It starts with the commitment, the commitment turns into doing, and the motivation is found in the doing.